Hundreds of preschools across NSW have opened their doors to the first cohort of subsidised three year olds this week, thanks to a historic investment from the NSW Government to ensure every child has access to two years of quality early childhood education. 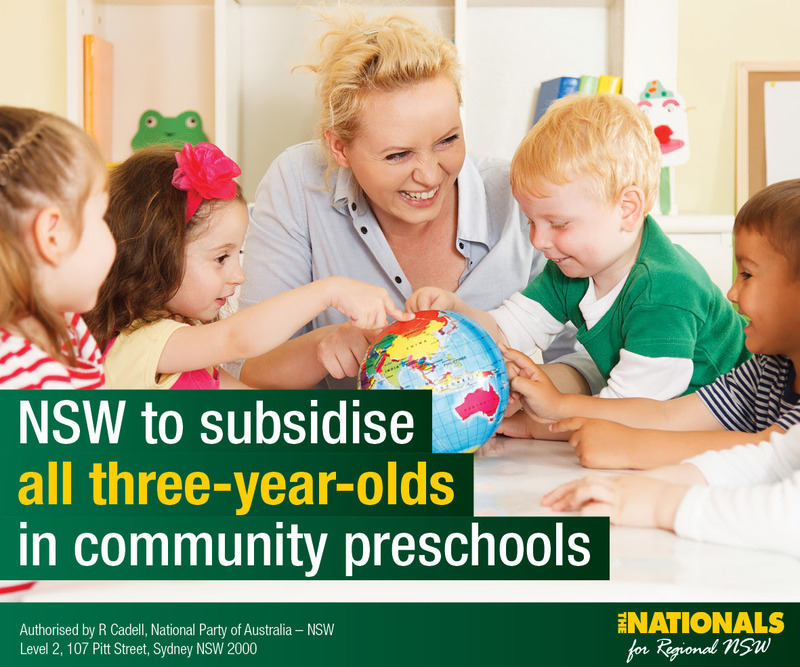 The Member for Oxley, Melinda Pavey MP, said for the first time ever preschool subsidies have been extended to include all three and four-year-olds, saving families an average of $825 a year. “This investment provides better opportunities for children starting their schooling,” Mrs Pavey said. “This is also another way that the NSW Government is helping to reduce family’s costs-of-living. Minister for Early Childhood Education, Sarah Mitchell, said universal access to two years of preschool education provides extensive benefits. “Children who have two years of quality early childhood education achieve better results throughout primary and high school. The NSW Government’s Start Strong program was introduced in 2016 and has already seen significant success for children attending preschool for 600 hours in the year before school, a reduction in average daily fees by 25 per cent and an increase in enrolments by 40 per cent.